Richard Polony concentrates his litigation and counseling practice in the areas of commercial litigation and general corporate matters. He advises and represents clients in a broad range of matters involving business disputes, fidelity, surety, creditors' rights, and class action defense. Mr. Polony also has extensive experience in representing financial institutions in commercial loan workouts; investigating and prosecuting securities fraud claims on behalf of investors; resolving disputes concerning the Uniform Commercial Code including, but not limited to sales; negotiable instruments; electronic funds transfers and secured transactions; negotiating and drafting forbearance agreements; loan purchase and sale agreements and various corporate contracts; and counseling clients with respect to the development of internal policies and procedures. He has tried cases to verdict arising out of misappropriation of trade secrets, breach of fiduciary duties, shareholder disputes, breach of contract and real estate matters. Mr. Polony has substantial experience in state and federal courts including the representation of creditors in bankruptcy matters. He has handled matters in Illinois, Missouri, Minnesota, Indiana, Wisconsin and Texas. 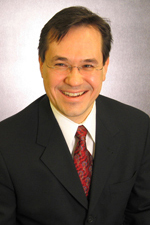 Mr. Polony joined Hinshaw & Culbertson LLP in March 1995. He is the chair of the Associates Committee, former member of the firm's Executive Committee and former chair of its Practice Group Subcommittee, and founder of the firm's Hispanic Affinity Network. Prior to entering the legal profession, he developed an expertise in finance while working for Fortune 100 companies in both the insurance and telecommunications industries.